Panama City Beach in Florida is the perfect location for those seeking the sun to spend their time. 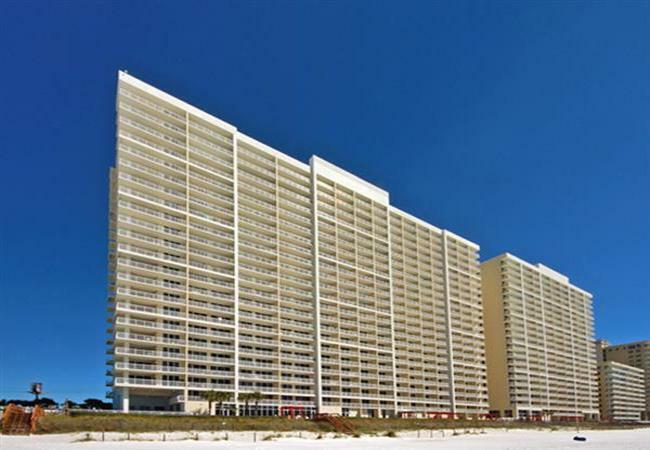 Majestic Beach Towers, a resort located on the west end of Panama City Beach, is an appealing destination for those sun-seekers. This resort offers provides a multitude of onsite activities and amenities while also giving guests easy access to nearby sites such as Pier Park (a premier shopping and lifestyle center) and Frank Brown Sports Complex. Majestic Beach Towers offers a wide variety of condo options designed to meet any accommodation needs. The one, two and three bedroom condos can fit parties ranging in size from 2 adults and 2 children to 6 adults and 4 children. Every condo comes with its own private balcony so that guests can enjoy the beautiful Gulf of Mexico waters and the warm, tropical breezes of Florida. The spacious suites offer fully-equipped kitchens that include all dishes, pots and pans. Appliances include a coffee maker, a dishwasher, a refrigerator, a microwave, and a cooktop and stove. All towels, linens and pillows are provided. Some units come with a washer and dryer unit. Guests can enjoy complimentary movie rentals from a kiosk at the front desk and view those movies using the DVD player in their condo. Cable TV is also provided to keep guests entertained and informed. Outside, guests can enjoy 650 feet of the white sand beach found at Majestic Beach. Panama City Beach vacation rentals usually offer this type of amenity. However, Majestic Beach Towers offers so much more. Guests will find two heated indoor pools, three outdoor pools (including one kiddie pool), tennis courts and a full service gym complete with a wet and dry sauna. The amenities do not stop there. Spa services, a convention center, a movie theater, a parking garage, ATMs, and a general store ensure that guests’ needs are completely met. Guests looking for carefree dining experiences will appreciate the outdoor pool bar and grill located on the gulf coast as well as the many prepared food options found in the general store. Two delightful, nearby restaurants offer more dining options. Guests may choose to picnic on the beach, relax on the poolside loungers, play golf or tennis or just sit and enjoy the sunrises and sunsets from either their own balcony or down at the shore. Majestic Beach Towers also provides rental beach equipment such as beach chairs, umbrellas, jet skis, kayaks and paddle boards. Guest can also book boat rides, eco-tours and dolphin encounters. Those desiring it can inquire about the available airport transportation services. Experience a beach vacation home today at Majestic Beach. Panama City Beach vacation rentals are easy to find and book. Come for a visit and see for yourself!